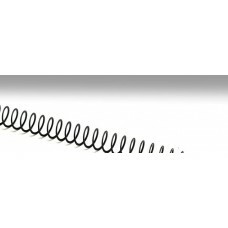 High Performance Tubb Precision Flatwire Buffer Spring for AR-15 Rifles & Carbines. 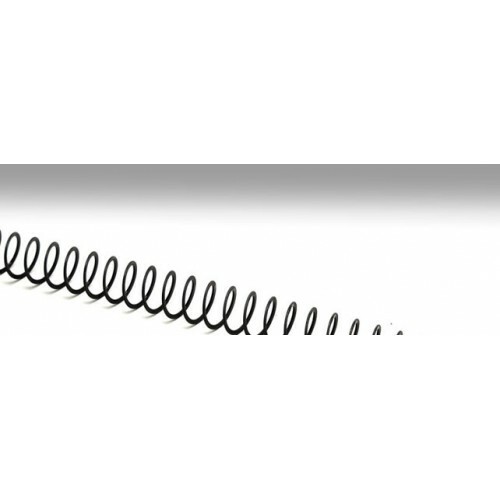 This Tubb Precision AR-15 Flatwire Buffer Spring fits both carbine and standard length stocks. Now available for platforms using low pressure loads such as 300 Blackout and 300 Whisper. Use the latest AR style buffer spring released by David Tubb in your 300 AAC Blackout or 300 Whisper. Using the latest technology and techniques in spring winding David Tubb had created a lighter weight buffer spring designed for those running platforms with lighter pressures. Be absolutely confident that your 300 Blackout or Whisper will function consistently every time with our new lightweight buffer spring. Take advantage in knowing that no matter what the conditions, your AR will cycle and feed providing you with a lifetime of worry and maintenance free operation. -Why should you use Tubb Precision Flatwire Buffer Springs? Extended life at optimum performance! Many conventional buffer springs are constructed from music wire or non post winding processed stainless steel. Their performance becomes suspect in as little as 500 rounds and can cause rifle performance to degrade to the point that rifle function will change. We fielded many questions from people complaining about "mystery malfunctions" when their rifles get past that round count , and we've found installation of a Tubb Precision Flatwire Buffer Spring cures nearly all of them, and it cures them for good. This is the last Buffer Spring you'll ever need for your AR-15! Tubb Precision springs are duty rated for 500,000 compression cycles at maximum performance. Unaffected by temperature - Music wire and carbon steel springs are adversely affected by temperatures as low as only 175° F. Tubb Springs perform flawlessly in excess of 700° F. Performance and function will not change during rapid fire conditions. Perfect consistency - Tubb Precision Flatwire Buffer Springs are made to Stringent 9002 Quality Control Standards. Certified materials use, and our exclusive post-winding processing guarantees true, consistent performance. Conventional AR15 buffer springs are notorious for exhibiting wide variances in installed load height, compression and rebound performance, and even length.